In 1976, children received 10 vaccines before attending school. Today they will receive over 36 injections. 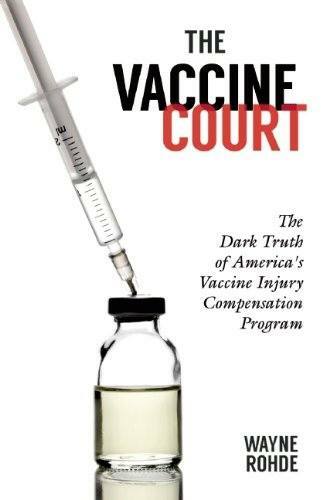 The American Academy of Pediatrics and the Center for Disease Control assured parents that it was safe to not only give these vaccines, but that they could be given at one time with complete safety. Is this true? Or are we being lied to on a grand scale? The medical establishment has created a set of terms, which they use constantly to boost their egos and firm up their authority as the unique holders of medical wisdom–the mantra is “evidence-based medicine”, as if everything outside their anointing touch is bogus and suspect. A careful examination of many of the accepted treatments reveals that most have little or no scientific “evidence-based” data to support it. One often repeated study found that almost 80% of medical practice had no scientific backing. This is not to say that medical practice should be purely based on pure and applied science, as understood in the fields of physics and chemistry. Medicine, as pointed out by many of the great men of medicine, is an art. For a discussion on the proper role of medicine I refer the reader to my paper titled –Regimentation in Medicine and the Death of Creativity . Most men of medicine recognize that some things are obvious without a placebo controlled, double-blind, randomized study. For example, there has never been such a study to see if smashing your finger with a hammer will be painful, but we accept it without such pristine evidence. The same is true with removing brain tumors or sewing up severe lacerations. I find it interesting that there exist an incredible double standard when it comes to our evidence versus theirs. The proponents of vaccination safety can just say they are safe, without any supporting evidence what-so-ever, and it is to be accepted without question. They can announce that mercury is not only safe, but that it seems to actually increase the IQ, and we are to accept it. They can proclaim thimerosal safe to use in vaccines without their having ever been a single study on its safety in over 60 years of use, and we are to accept it. Yet, let me, or anyone else, suggest that excessive vaccination can increase the risk of not only autism, but also schizophrenia and neurodegenerative diseases, and they will scream like banshees –Where is the evidence? Where is the evidence? When we produce study after study, they always proclaim them to be insufficient evidence or unacceptable studies. More often than not, they just completely ignore the evidence. This is despite the fact that we produce dozens or even hundreds of studies that not only demonstrate the link clinically and scientifically, but also clearly show the mechanism by which the damage is being done –even on a molecular level. These include cell culture studies, mixed cell cultures, organotypic tissue studies, in vivo animal studies using multiple species and even human studies. To the defenders of vaccine safety-our evidence is never sufficient and, if we face reality –never will be. 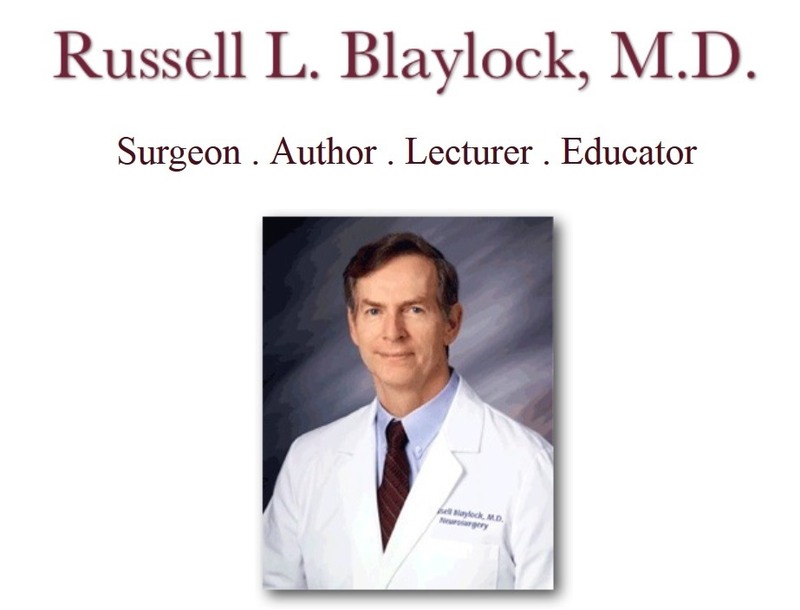 Dr. Blaylock is a board certified neurosurgeon, author and lecturer. He attended the LSU School of Medicine in New Orleans and completed his general surgical internship and neurosurgical residency at the Medical University of South Carolina in Charleston, South Carolina. During his residency he ran the neurology program for one year and did a fellowship in neurosurgery after his residency. 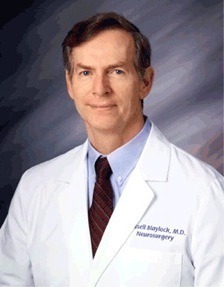 For the past 25 years he has practiced neurosurgery in addition to having a nutritional practice. He recently retired from both practices to devote full time to nutritional studies and research. Full Curriculum Vitae here . Free Shipping Available! Order here .